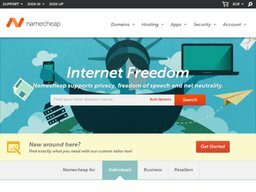 NameCheap is internet domain name registrar and web hosting service, headquartered in Los Angeles, California, United States. The privately held company is believed to make upwards of $5 million per year, with founder Richard Krikendall serving as CEO. It is one of the most well known ICANN domain companies in the world. Kirkendall founded NameCheap in 2000, and it has grown to more than 3 million registered domain names. They managed to win the title of Best Domain Name Registrar, as a result of a Lifehacker poll in 2010. Two years later, it was the most popular domain name registrar, according to polls from the same website. Moving forward with the times, it was announced in 2013 that NameCheap would accept bitcoin as payment, rather than just accepting the more traditional and common forms of payment, such as credit cards. You can easily make savings on your domain registrations or web hosting plans by using special discount NameCheap coupon codes. We keep an up to date list of these here at Coupofy so you don't have to waste time searching the web for one that will work. If you’re looking for a domain name, you can buy one here. 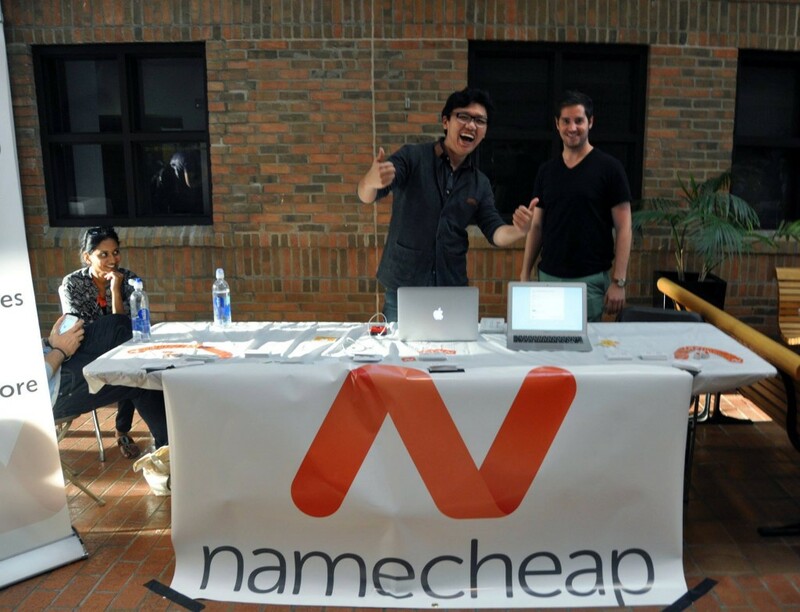 You can register a completely new domain name, or you can simply transfer an existing domain name over to NameCheap. You can use the WhoIs service or FreeDNS if you need to, and hosting plans are also available. The hosting plans come in a wide variety of forms – you can get shared hosting, VPS, reseller hosting, private email hosting and more. You can add and withdraw funds via the website, making it even easy to make your purchases. You can also view different apps for sale in the MarketPlace as well. You can pay for the hosting and domain names using a debit or credit card, and Paypal. As of 2013, you can also pay using BitCoin, an online virtual currency which has become extremely popular over the years. Since you can’t use BitCoin offline, it’s a useful feature for many people to be able to use this online currency to buy the things they need. To redeem a NameCheap coupon code all you have to do is enter it in to the promotional box, which you should see during checkout ahead of payment. Once you have registered a domain or signed up to a web hosting plan you will be given access to an online account to manage your products, and you will also be emailed all of the details. ICANN, the governing body for domain name states that all newly purchased domain names be given a "cooling off Period" which means you can ask Namecheap to cancel your purchase. You should do this within 7 days else you will be stuck with the domain for however long you registered it for, at which point you will have to let it expire. You can cancel your webhosting plan at any time so long as you have not agreed to a minimum term. If you pay monthly you should cancel before the next billing date. @MarkusFogg Thanks for the feedback! I'll forward it to the corresponding department for consideration.